Flavonoids are compounds naturally found in plants that, along with carotenes, create the intense colors of flowers, as well as fruits. They’re partly responsible for sea buckthorn’s color as well as its high level of Beta-Carotene. They protect the plant from microorganisms and insects. But flavonoids are not just beneficial to plants; they are extremely useful to humans as well. 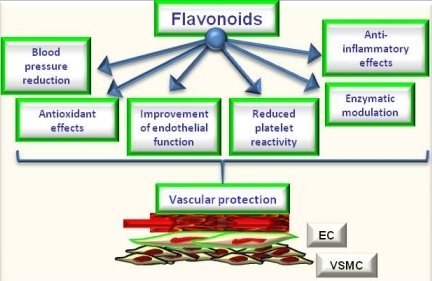 Flavonoids have been found to have a variety of functions that improve health. These include: limiting atherosclerosis (hardening of the arteries, which, if unchecked, can lead to heart attack, stroke or death – Learn more about sea buckthorn for cardiovascular health here), reversing hyperthyroidism (overactive thyroid which can lead to anxiety, tremors, nausea, heart palpitations and arrhythmia), and reducing inflammation (which can cause or aggravate a variety of medical conditions – Check out our sea buckthorn anti-inflammation write-up here). Flavonoids have been studied extensively and have been found to possess strong anti-viral and antioxidant properties, which allow them to attack free radicals and protect cells from their damaging effects, boost the immune system to protect the body from infection and help in the process of cell regeneration, leaving the body stronger and healthier than ever before. Recent research shows that flavonoids may even prevent or greatly reduce the risk of heart disease, cancer and degenerative diseases (such as Alzheimer’s and dementia) that increase as we age. Since it increases the strength of the immune system, it helps ease allergies, and prevent the occurrence of general illness. We’ve written an article about sea buckthorn for general immunity here. Sea Buckthorn is an excellent source of flavonoids. 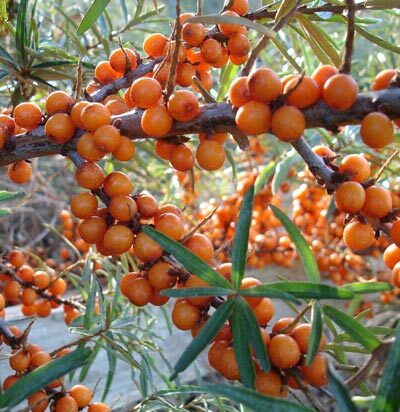 Although there are many types of flavonoids in Sea Buckthorn, the four main ones are isorhamnetin, quercitin, myricetin and kaempferol. Each of these has powerful benefits for the human body. Isorhamnetin helps to treat diabetes complications, such as cataracts, and controls blood glucose levels and may help prevent heart disease. Quercitin has been proven to be a natural antihistamine and anti-inflammatory and may ease the symptoms of seasonal allergies, asthma and eczema, helps treat diabetes, lowers cholesterol, treats and may prevent cancer and heart disease. Myricetin is a powerful antioxidant. Studies have shown it to lower cholesterol and greatly reduce the risk of cancer, specifically pancreatic and prostate cancers. Kaempferol reduces the risk of cancer, diabetes and cardiovascular disease, works as a pain reliever and anti-depressant, and increases life span. In the last couple of decades, numerous large clinical studies have shown the diverse and beneficial effects flavonoids have on your health. 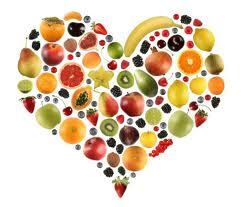 A diet rich in flavonoids can alleviate and prevent many serious diseases and ailments. As antioxidants, they’re excellent for neutralizing stress-induced free radicals. Read more about how sea buckthorn’s antioxidants can help delay the aging process here. With the stressful life we live today, our body’s are not strong enough to neutralize all of the free radicals we encounter. Thus, we need to injest foods rich in antioxidants, such as the mighty sea buckthorn. If all the known essential fatty acids, such as Omega 3, 6, 9, and 7 weren’t enough, and the very high levels of vitamins and minerals didn’t do it for you, consider adding sea buckthorn to your daily health regiment for the antioxidant-rich flavonoids!